Samsung has recently released a new commercial to promote their flagship the Samsung Galaxy S6 Edge, with the slogan 6 > 6. 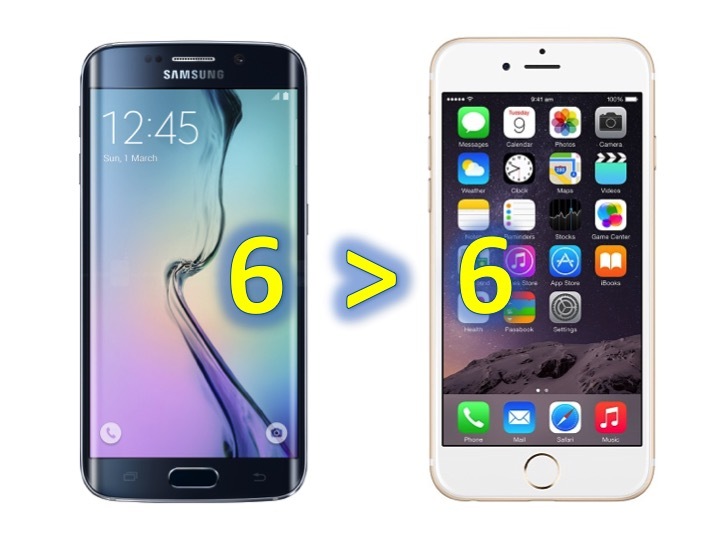 Though we learned back in school that 6 = 6, Samsung is referring of course to their Samsung Galaxy S6 Edge and comparing it to Apple’s iPhone 6. In the short clip, Samsung touts the edge display to give its advantage over the iPhone 6. For example, the edge lights up in different colors if someone in your favorite contacts is calling. In addition, various notifications from stocks, weather, emails pop up along the edge. While we personally like the Galaxy S6 Edge, I am not sure this commercial will change the mind of others. What do you think of the commercial?